Inspector General Eberhard Zorn presented his annual report on the operational readiness of the Bundeswehr's main weapon systems to the Bundestag's Defense Committee on Monday. It complements the reports of the past four years with newly launched main weapon systems, the five main cyber and information space systems, and eight systems under the NATO Very High Readiness Joint Task Force are of special importance. The database has changed enormously. The 2018 Annual Report is not only more extensive, but also more revealing. On this basis, the report was re-evaluated so that it can only be viewed in the secret protection agency of the Bundestag. "Overall, it allows such concrete conclusions about the capabilities of the Bundeswehr that a knowledge by unauthorized persons would damage the security interests of the Federal Republic of Germany," Zorn clarifies in his letter to the chairman of the committee. The material readiness of the approximately 10,000 weapons systems of the Bundeswehr averaged 70 percent last year - with the exception of those weapon systems that are currently being maintained or modernized. "Thus, the Bundeswehr is, despite the considerable additional burden, currently in a position to fulfill its mission in the field, in unrelated commitments and in the basic operation," sums up Zorn. And this despite the fact that the past year, which included NATO’s exercise Trident Juncture, has been very demanding in preparation for the Very High Readiness Joint Task Force in 2019 and eleven mandated missions abroad. The downward trend in the material operational readiness of the main weapon systems was stopped, in parts even reversed. As a prime example of this development, the Inspector General cited the wheeled GTK armored troop transport vehicle Boxer. In addition, "the A400M is also showing a positive trend, with the simultaneous arrival of ten other aircraft and its certification as a tanker." The A400M can now take over transports in the operational areas; This is partly due to the simplification of procedures and the increase in maintenance capacity. 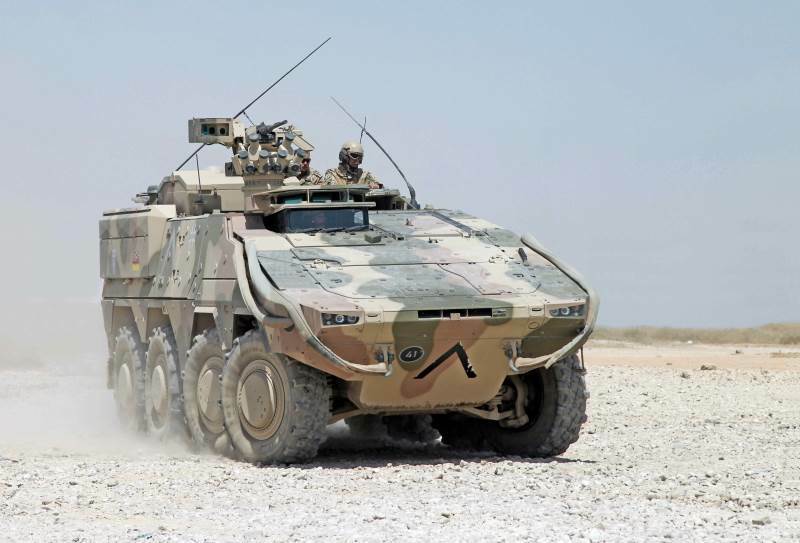 The Bundeswehr is on the right track, but has not yet arrived at its destination. The operational readiness of the U212A submarine is not satisfactory, as at least three submarines should have been available for missions towards the end of 2018. Even with the Tornado fighter jet and the CH-53 transport helicopter, the German Armed Forces "only maintained the low level of the previous year" in terms of operational readiness. The reason: long repair times. Many spare parts have to be laboriously produced, and old machines turn out to be more common than new ones. "Against this background, the successor projects for the CH-53 and Tornado gain in importance," said Zorn in his letter to the Defense Committee. All in all, the trend reversals of material and finance are slowly but increasingly taking effect, and additional reforms are planned for this year. The resources of the German Armed Forces are bundled in foreign missions and the commitments that are identical in terms of deployment, and the weapon systems used there would have an above-average operational readiness. Now, it is important to "gradually transfer this high level of operational readiness to the entire Bundeswehr," said the Inspector General in his assessment of the past year. In the future, the Inspector General will provide the Bundestag with a current report every six months on the condition of the Bundeswehr's main weapon systems. The report will be presented together with the armaments report in the future.